Still need a Valentine’s Day gift idea for that special someone? Why not make something?! Here are some last-minute gift ideas that I found when looking online that are cheap, easy, and from the heart. Get their favorite candy, place it in a mason jar or fun bag. DIY Gift Cards. Got a computer? …then you are good to go with this gift. Be creative! With spring not far away (can it hurry up PLEASE), I can’t help but eye up all the new arrivals in stores. I am loving the mint color that is available for spring. I already have a few mint colored accessories in my closet, but it can’t hurt to add a few more! What color are you loving for spring? I’d like to start today’s post by saying my heart goes out to all those that were effected by Hurricane Sandy. We were fortunate to only lose power and have down wires. I know others were not so fortunate. My thoughts and prayers are with all that were effected. 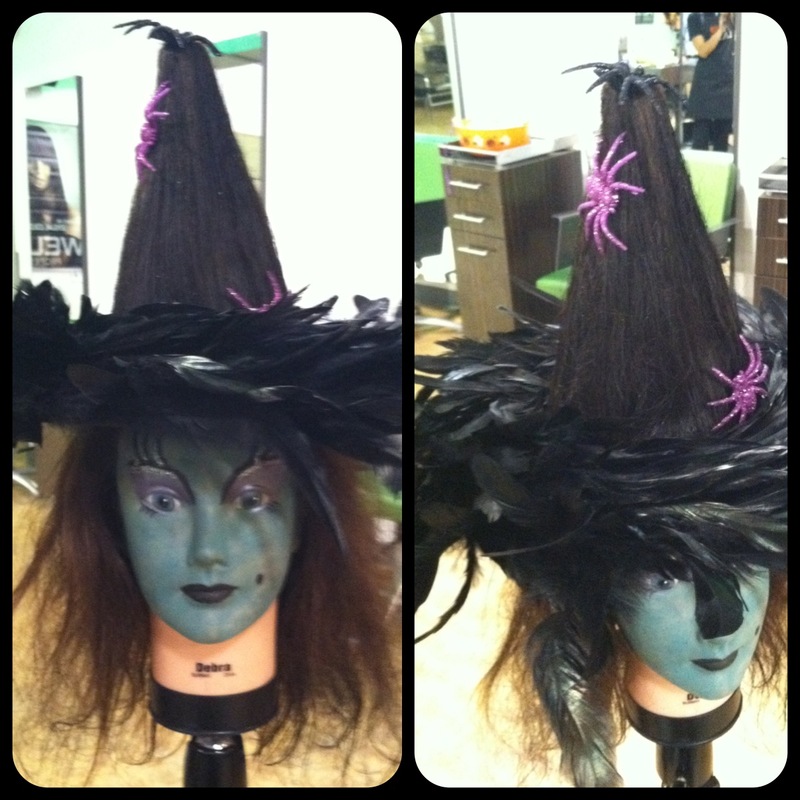 Recently, at cosmetology school, we were asked to bring in fall and/or Halloween decorations to use in a “Fall Up-do” competition. 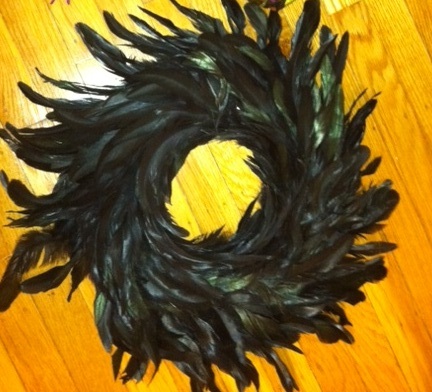 I wasn’t excited about my idea, until I saw the below wreath at Michael’s Craft Store. 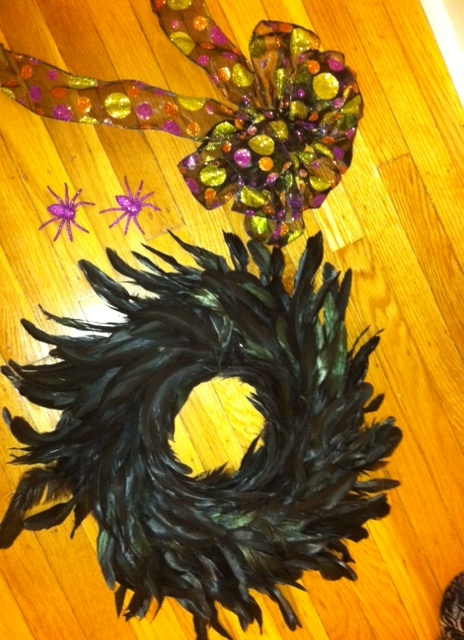 It was settled… I would create a witch’s hat out of my mannequin’s hair using the wreath as the brim of the hat. I love how it turned out and apparently so did those that voted because I WON FIRST PLACE! 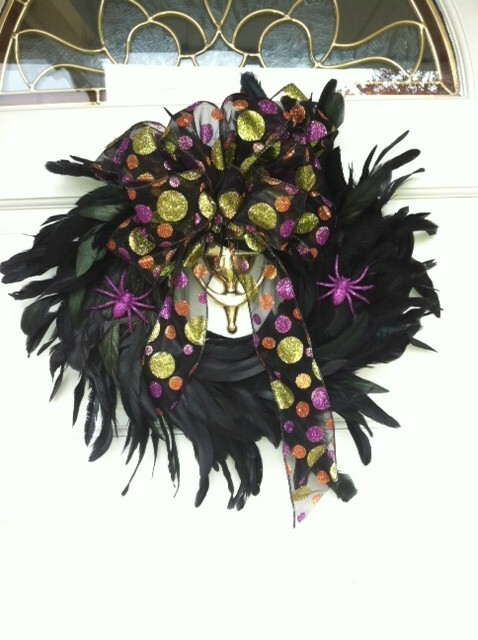 The wreath was too pretty to throw out after the contest, so I decided to create a front door decoration. It’s different and funky, but I love it! This past weekend, I spent my Sunday organizing. Most of my efforts were focused on my closet. 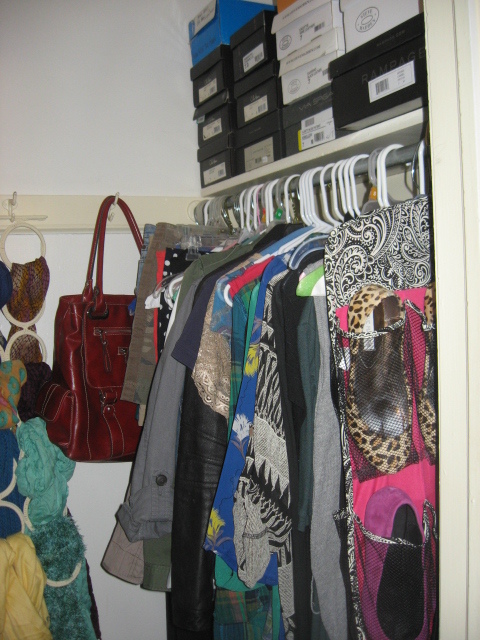 As I explained in my last post, my closet isn’t the biggest, so every little nook and cranny is space needed. 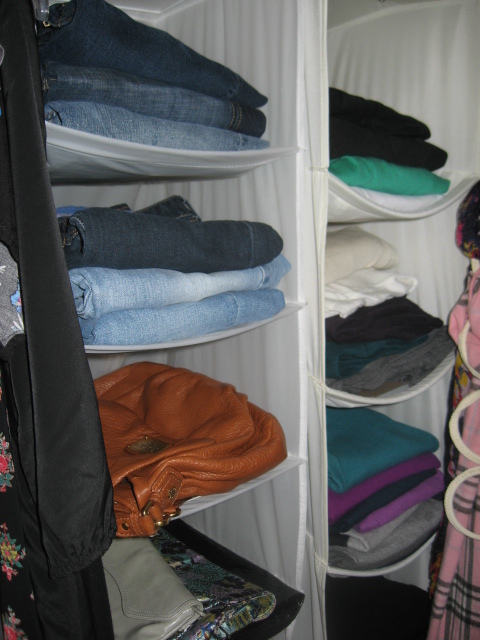 I realized the key to organizing a small closet is maximizing storage space. 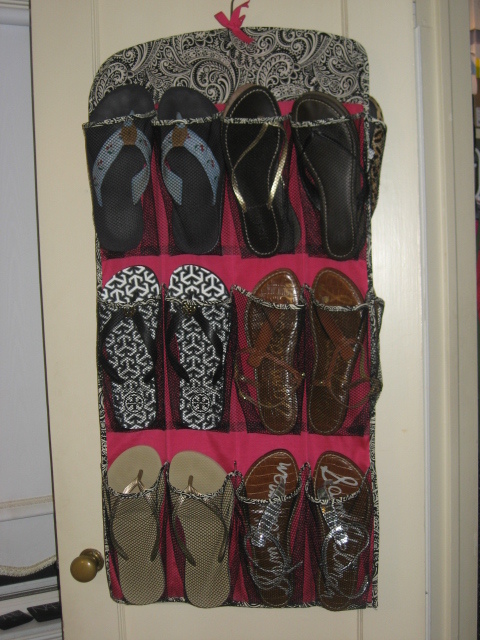 In my case I did this by using hanging garment storage: two hanging sweater bags (similar here and here), one shoe organizer (I bought mine at Home Goods. 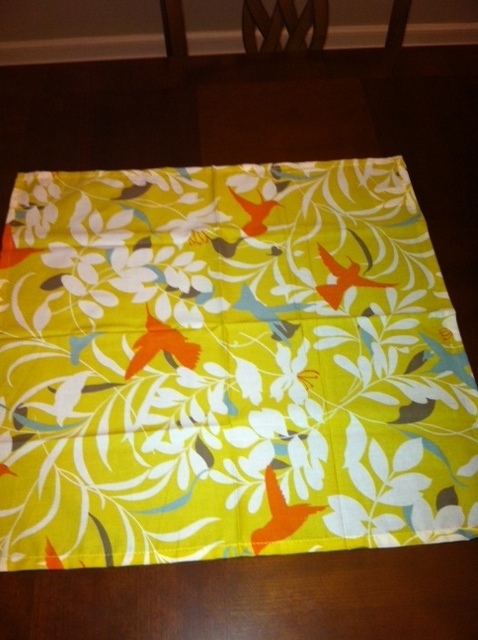 Similar one here), and one multi use hanger for my scarves. 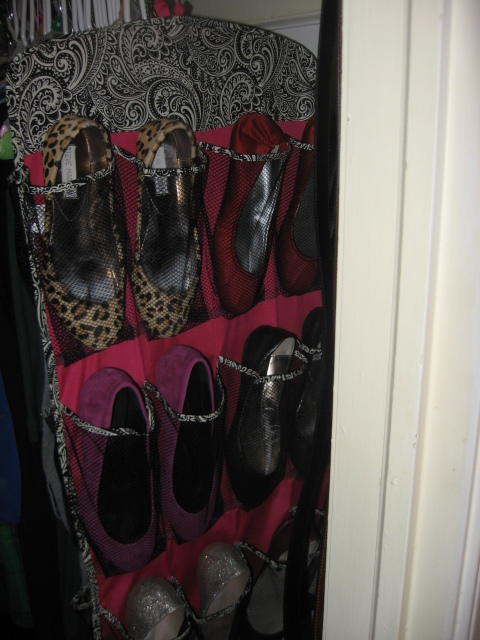 For more on my scarf organization, see my last post. Side by side hanging sweater bags. I used mine to store jeans, sweaters, and handbags. First and foremost, get rid of anything you haven’t worn or won’t wear. I had three piles: Keep, Trash, and Donate. It is also helpful, to try things on. Be brutally honest with yourself. If it hasn’t fit in over a year… donate it. I also used the scenario of running into someone I haven’t seen in years. If I would be self-conscious running into them wearing that particular article of clothing… I got rid of it! Organize by the type of apparel. For example all of my dresses are together, my blazers together, blouses, etc. Also, within your sections it often helps to color code your clothes. By putting all pinks with pink and blacks with black it helps you to visually see what you have. For example, after color coding my sweaters, I quickly realized I do not need to buy another black sweater for a very long time! I have an entire shelf of just black sweaters! I tend to keep my shoes in their shoe boxes, mainly because its easier to store. If you keep your shoe boxes, be sure that each box is labeled. This way you can have a clear view of what you have or what you may need. 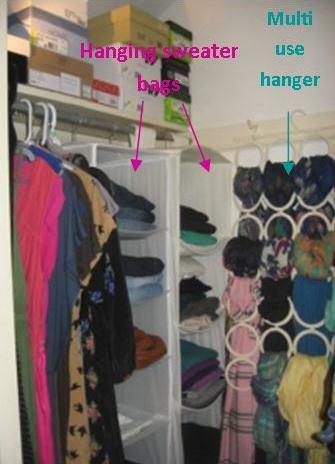 What tips and tricks do you use to organize your closet? 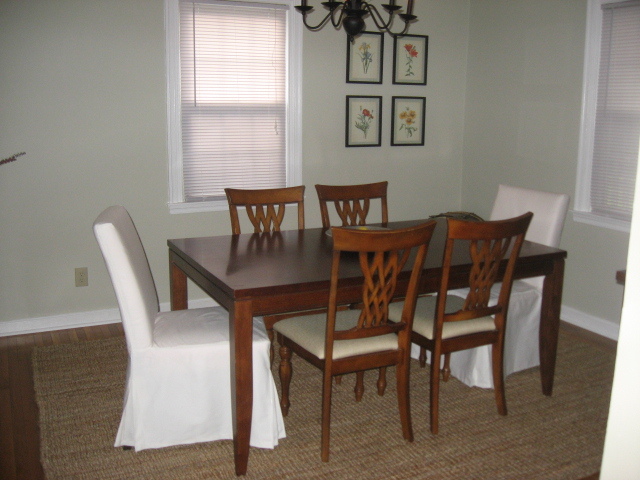 In my latest dining room post, you may have noticed that I went from a small rug (5×8) to a much larger area rug (8×10). After moving the chairs around, it felt as if something was missing in the room. 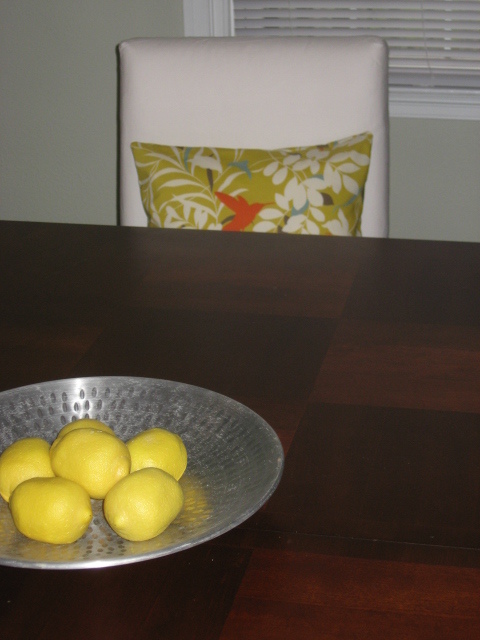 After going through endless furniture magazines and pins on Pinterest, I went back to my trusty inspirational photo. 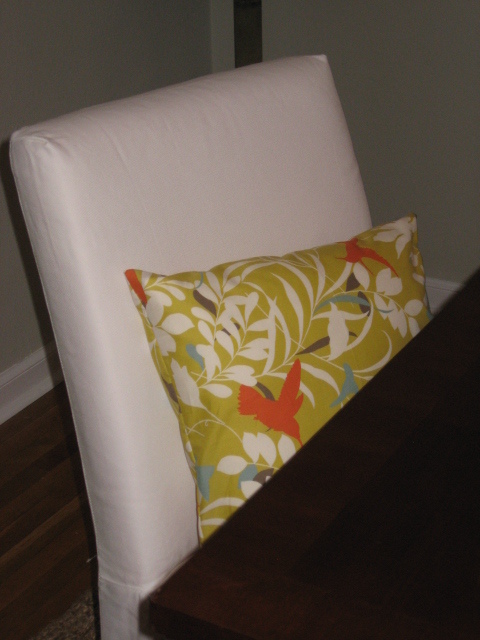 I needed something at the head of the table… and an upholstered chair did just the trick! I loved the clean simplicity of the white covers, but it lacked that little bit of color I was craving. Awhile back, W bought me cloth napkins from HomeGoods. 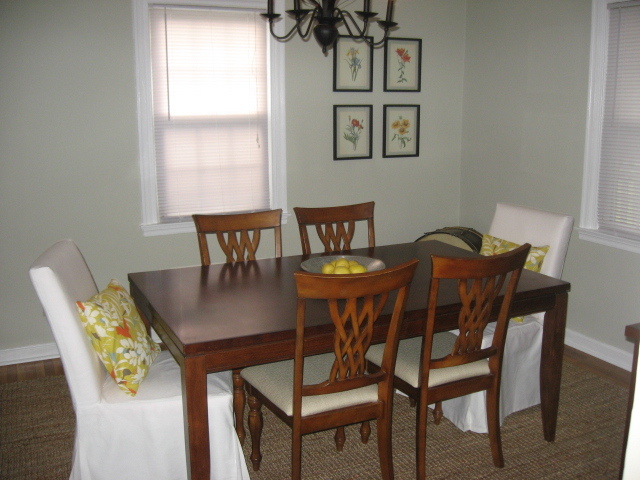 I have yet to use them, but have been dying to host a dinner party so I could. However, it’s not fun only using them once in a blue moon. 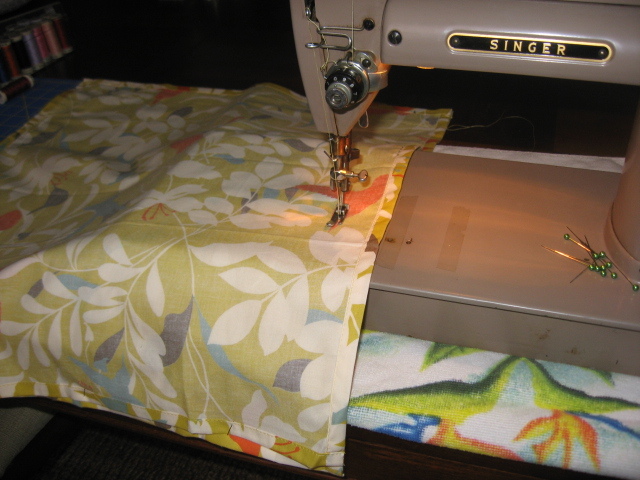 So my idea of turning them into pillows was created… and Viola! Two years ago today, the most amazing woman was taken from this world all too soon. On July 27, 2010, I lost my mother to multiple myeloma. It’s hard to believe its only been two years since my mom passed away, because to me, I feel like she’s been gone a lifetime. 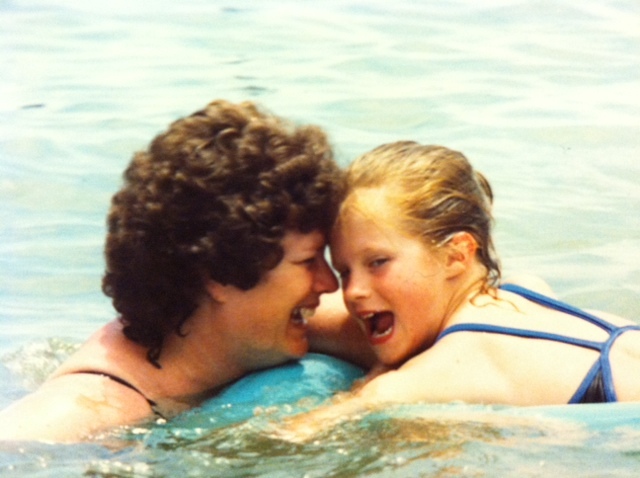 There isn’t a day that goes by that I don’t think of my mom. I miss her smile, her wisdom, her kind words, her hugs, her everything. I hope that one day, I can think of my mom and smile instead of holding back tears. I love you mom. I miss you more than one can imagine. I know I shouldn’t rush the seasons, but when shoe shopping with friends yesterday, I couldn’t help eyeing up all the new fall boots on display. 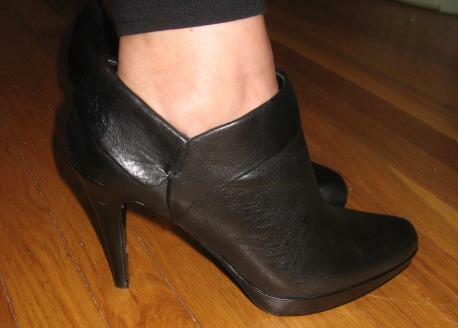 For months, probably a year, I have been searching high and low for the “perfect” bootie [insert backside joke here]. It seemed nearly impossible to find a bootie that wasn’t a sky high heel or had a ton of embellishments. Well… yesterday I crossed paths with these! I had to have them! I love the overall simplicity and especially am a fan of the almond toe. Anyone who knows me, knows I am a sucker for a good almond toe shoe. 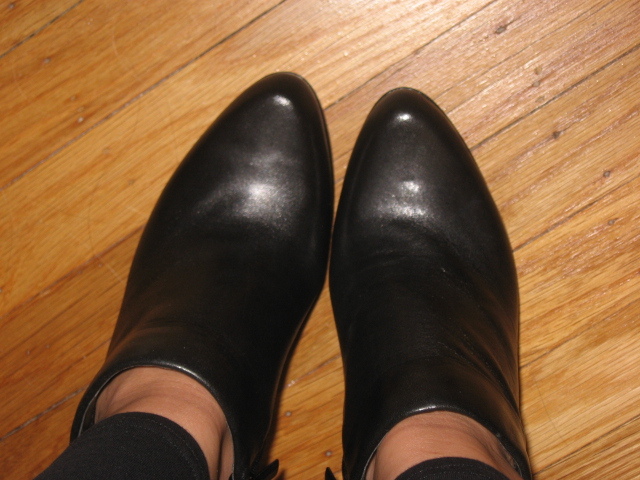 I picture these booties with tights and a skirt or a cute dress. I can’t wait to wear them!